These "Eddoko" children grew up by looking at parents who loved "Matsuri". They all have a special feeling about the time when they could first attend the local "Matsuri" as an adult and a community member. Finally I am a member of the local society, admitted as an adult, wearing the loincloth as an adult miniature shrine carrier. All of these bracing experiences in becoming a "Matsuri" participant are similar to the rituals in becoming an adult. Persons with the same goal to carry a "Mikoshi" miniature shrine are together, and feel the elevated mood and togetherness of being together special to the "Matsuri" experience. Some of the "Matsuri" lovers say All my life is aimed at enjoying the day of our local "Matsuri" and the rest of the year is dedicated to the preparation for the "Matsuri" day. For these "Matsuri" lovers, "Matsuri" is a year long event and as soon as this year's "Matsuri" is over, they start thinking about next year's "Matsuri". They are really living for "Matsuri". There are some young fathers and mothers who bring their children with them to participate in the "Matsuri". By doing that, these parents are teaching their children about Japanese traditional culture and the manners of Japanese society. Their parents appreciate and welcome their children and grand-children coming back for a reunion during their native town's local festivals. This is the best contribution you can make to grand-parents. In modern society, lack of communication is a deep concern even among family members. People's relations and associations are becoming shallow in society nowadays. On the contrary, a community which is brought together by "Matsuri" builds a marvelously lively society. This sense of unity might be the biggest reason to attract people to gather for the "Matsuri". Therefore, Japanese "Matsuri" culture existing in local communities is passed along by generations for hundreds of years. You don’t need a reason to participate in the "Matsuri". 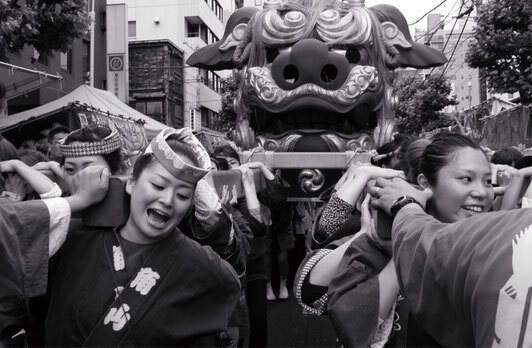 "Matsuri" always exists as a communication center for the people who gather together for it. This fever of "Matsuri" will never fade away and it will always exist. 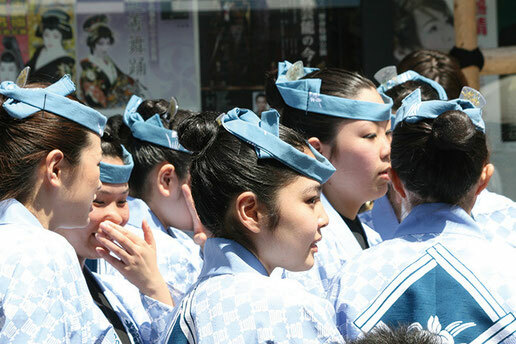 Once you attend a "Matsuri" festival, you will be entranced by the fever of "Matsuri".